The quality of these assessments needs to be high so that women get a definitive and timely diagnosis. Breast screening is currently offered to women aged 50 to 70 in England every 3 years. It aims to find breast cancers early and uses an X-ray test called a mammogram that can spot cancers when they are too small to see or feel. Clinicians face their biggest challenge when the outcome of needle biopsy is inconclusive – neither definitively benign nor malignant. The new guidance brings together the latest evidence on how to manage women whose biopsy findings are uncertain. This will help all staff investigating women in assessment clinics. We will update the guidance when there is new evidence in this area. The NHS Breast Screening Programme has introduced the role of responsible assessor (RA). All women in screening assessment clinics will have their management overseen by an RA. Assessment is only considered complete when the RA is satisfied all appropriate investigations have been performed adequately. We've introduced the RA to make the monitoring of performance and governance more transparent as many individuals may be involved in a woman’s care in screening assessment. Screening units are encouraged to seek a second opinion from colleagues, particularly when a woman has not had a needle biopsy procedure. 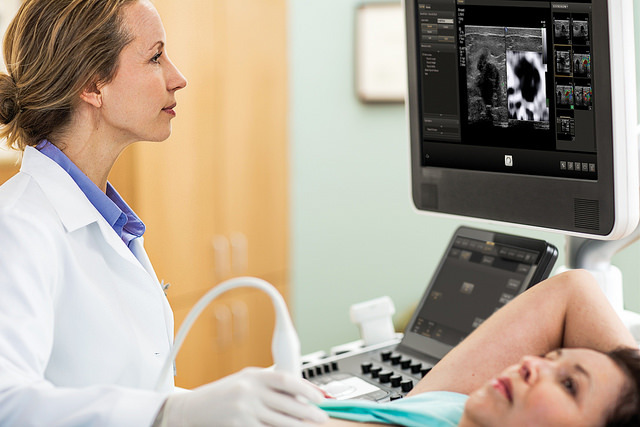 The updated guidance includes references to the use of vacuum assisted core biopsies and digital breast tomosynthesis, which are used in some screening assessment clinics. The appendices include a dataset which includes all appropriate information that should be given to clinical colleagues when a woman is transferred to the care of another clinican. For example, this can be when we refer a woman for treatment planning and surgery. This should help ensure that appropriate and complete information is available for the best management of the patient.